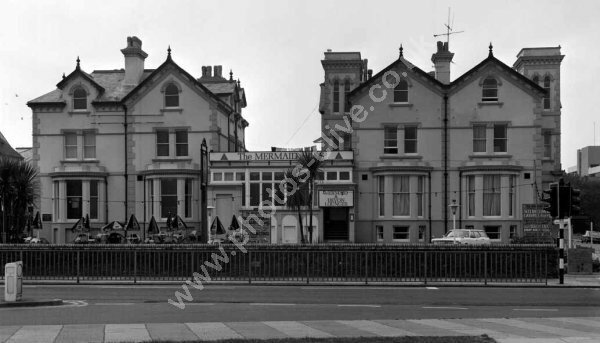 The Mermaid Bars in about 1973 or 1974. The poster in the front states;- " The mermaid Inn introduces to you international cabaret nightly in our luxurious cabaret lounge. Different act every night. Variety, Glamour, Comedy and dancing every night. Opus 3 exciting new sound. Admission charge 30p." For commercial use of this shot please go to Alamy.com and search for F704Y7 or for a one off print please see below.